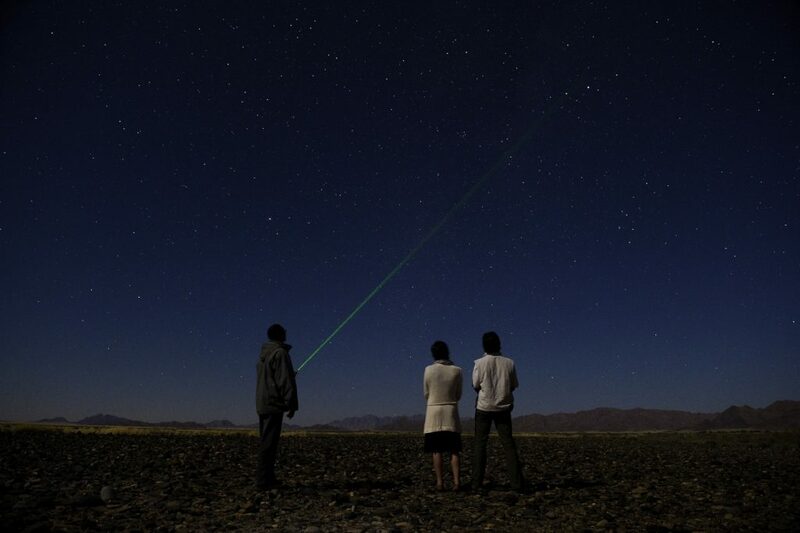 A 10 day journey through remote areas of Namibia, rarely explored by others. 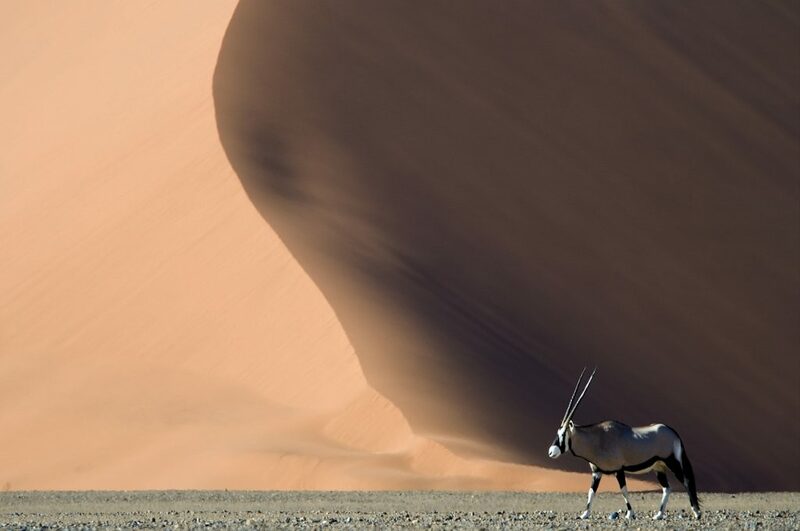 You will see the immense dunes of Sossusvlei, the incredible marine life of Swakopmund, the dramatic landscape of the Skeleton Coast, and the rugged beauty of the Palmwag Concession, home to endangered black rhino. 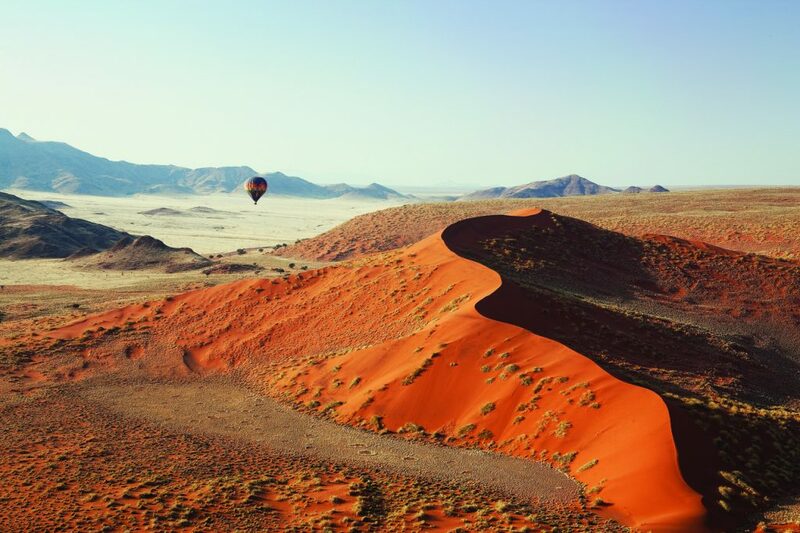 Most of the safari is by road, with two scenic flights included, which will give you an incredible perspective of Namibia’s wild and stunning landscapes. 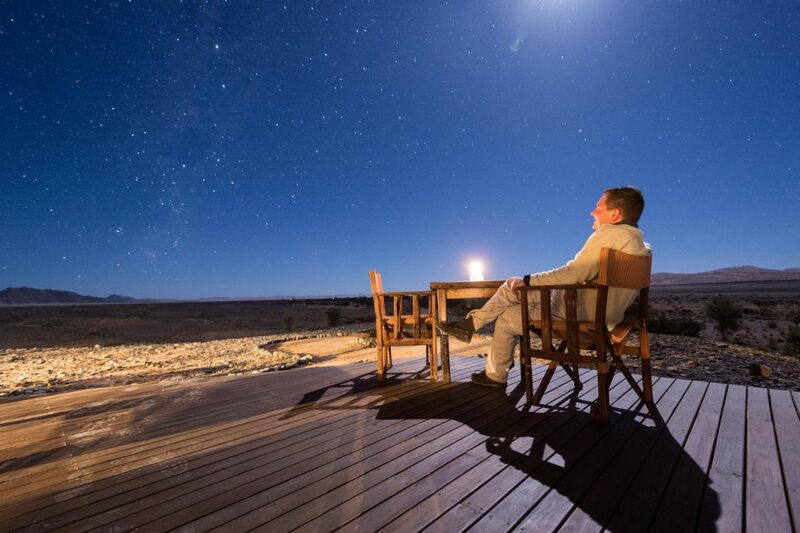 From Windhoek, we make our by vehicle to the luxurious Kulala Desert Lodge, a stunning lodge with views of wide open plains, mountains and dunes. 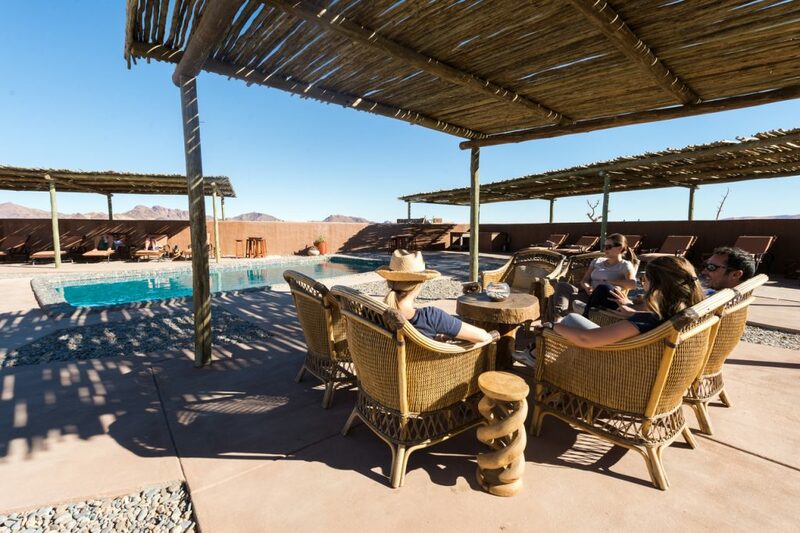 Here we explore the towering dunes of Sossusvlei and Deadvlei, and also enjoy spotting game from the patio, and cooling down in the plunge pool. 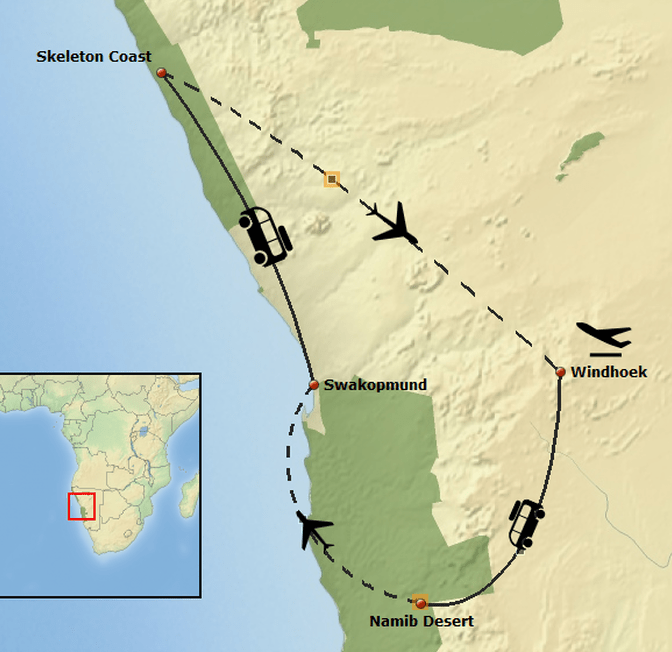 We take a scenic flight to picturesque Swakopmund, and spend the next two days exploring the Atlantic coast. 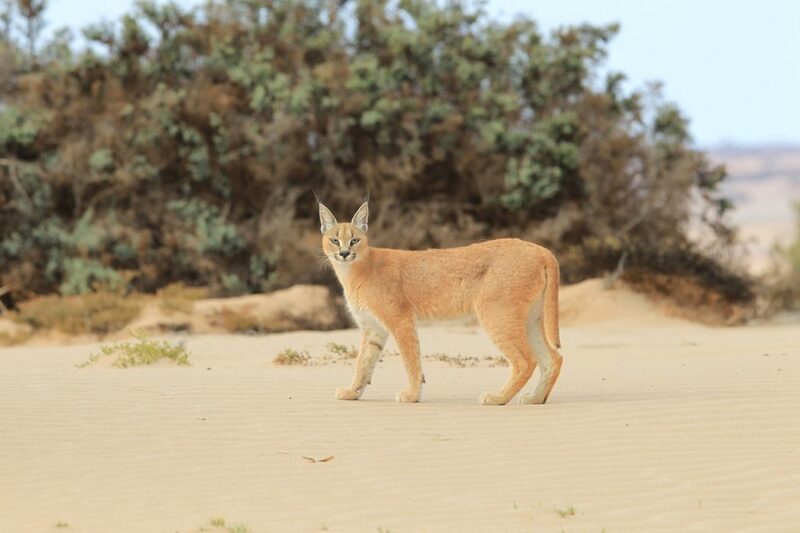 We take a private cruise from Walvis Bay to Sandwich Harbour, and see a myriad of marine life, including Cape fur seals, ocean-going bird life, and the rare Heavisides dolphins. Our home for the next two nights is the grand Hansa Hotel, Namibia’s oldest and best hotel. 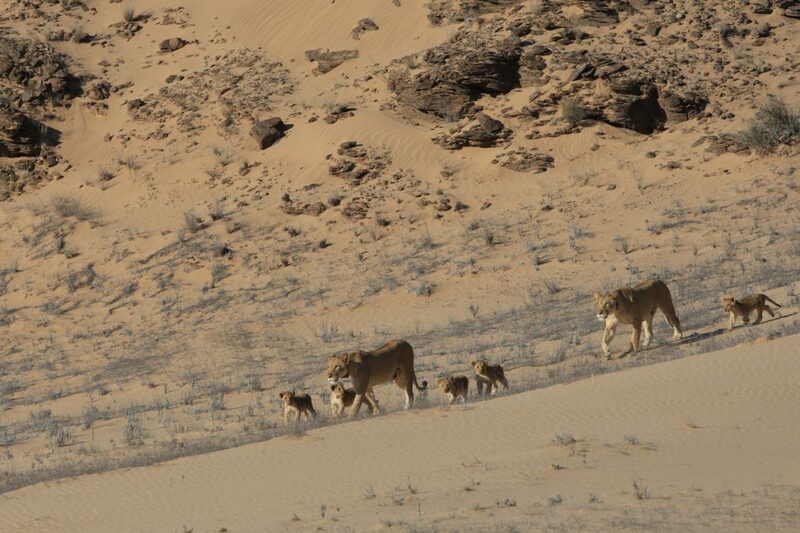 On day five we continue our journey by vehicle, driving up the dramatic Skeleton Coast for about 380km. You can expect to see the fascinating lichen plains at Wlotskasbaken, remains of the Zelia shipwreck near Henties Bay and the SW Seal shipwreck near Ugabmund. 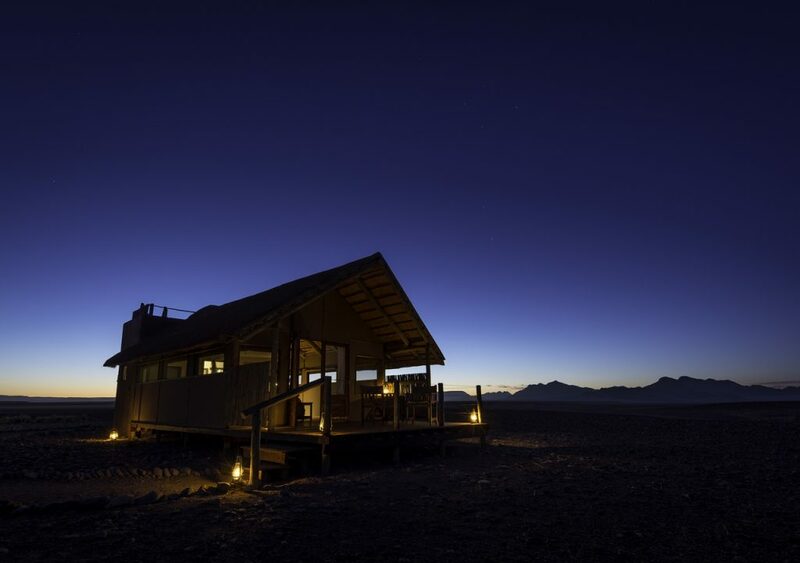 We also take in the ghostly remains of mining operations near Toscanini, and overnight at the rustic but comfortable Terrace Bay Lodge in the Skeleton Coast National Park. Driving time is about five hours, excluding any stops. 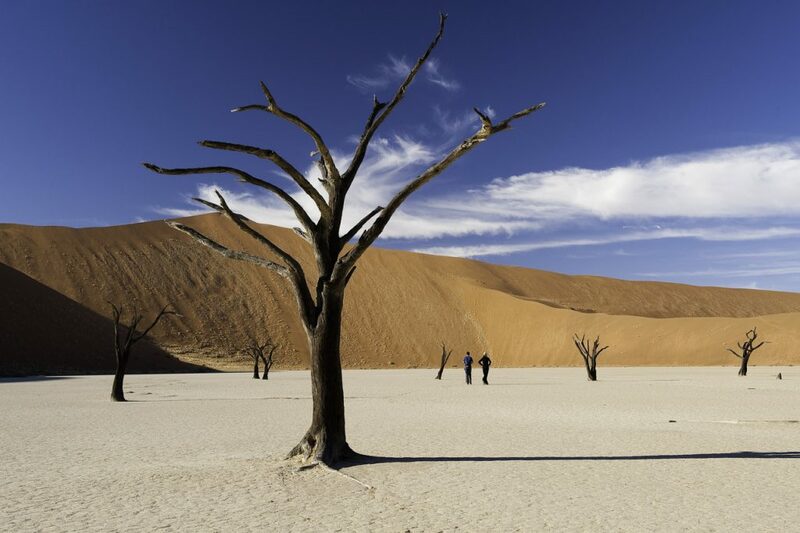 On day six we continue through Skeleton Coast National Park to the Möwe Bay Museum, where we stop to admire the remains of the Suiderkus shipwreck. 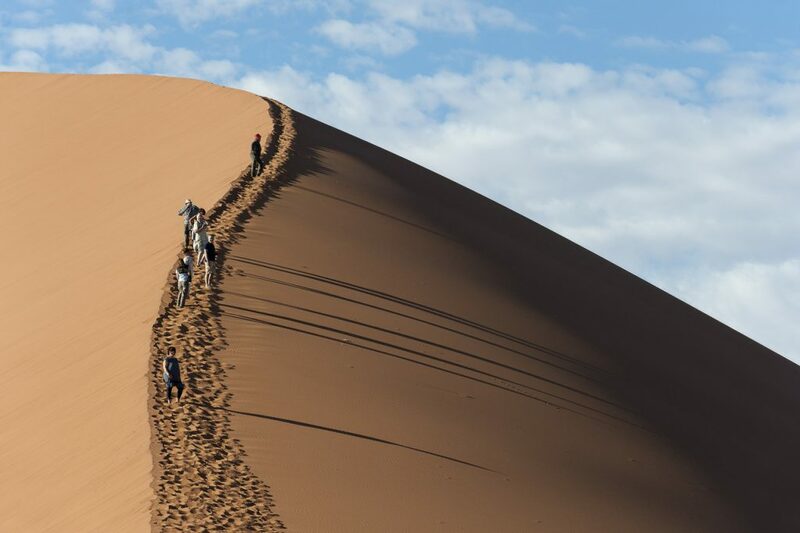 Other attractions are the Klein Oase and Auses Springs, hidden in the dunes, the intriguing “roaring” dune, and the breathtaking desert scenery and desert wildlife. The distance to camp is only 140 kilometres, but due to the gravel roads, driving time is approximately five hours. 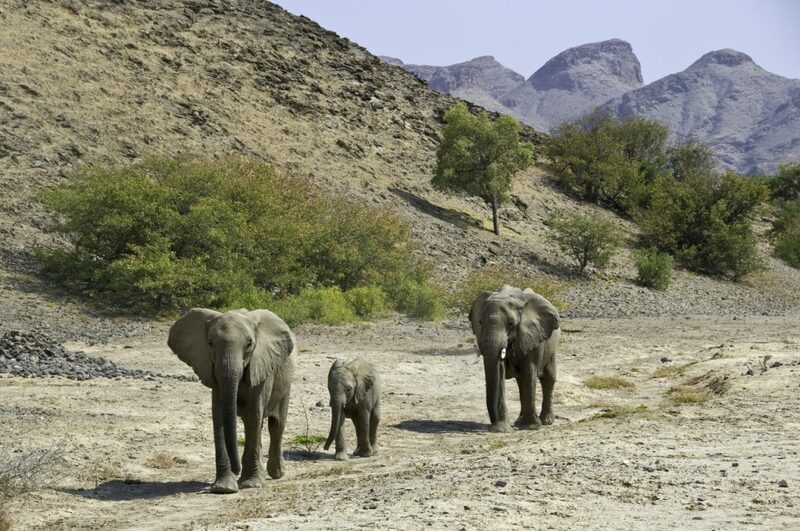 This remote part of Namibia is inhabited by plant and animal life that has adapted superbly to the harsh desert environment, and makes for fascinating game viewing. 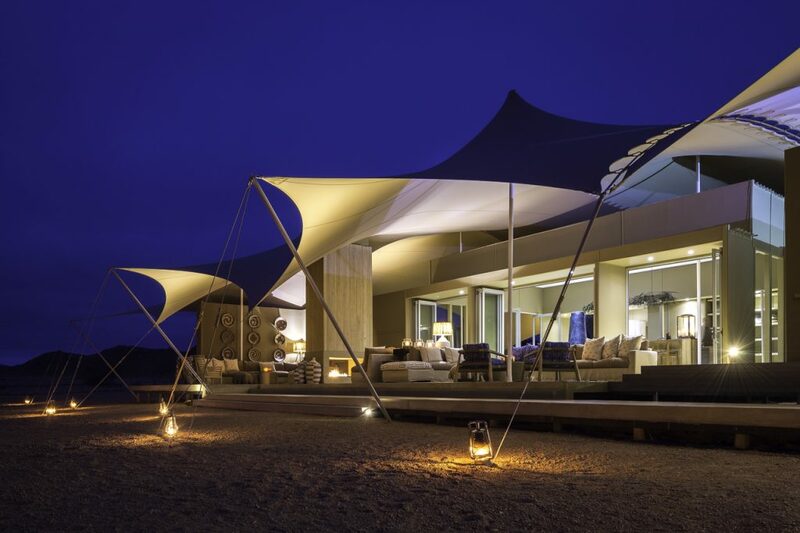 Set in the starkly beautiful Palmwag Concession on the border of the legendary Skeleton Coast National Park, Hoanib Skeleton Coast Camp offers a unique experience of one of the most remote places on earth. 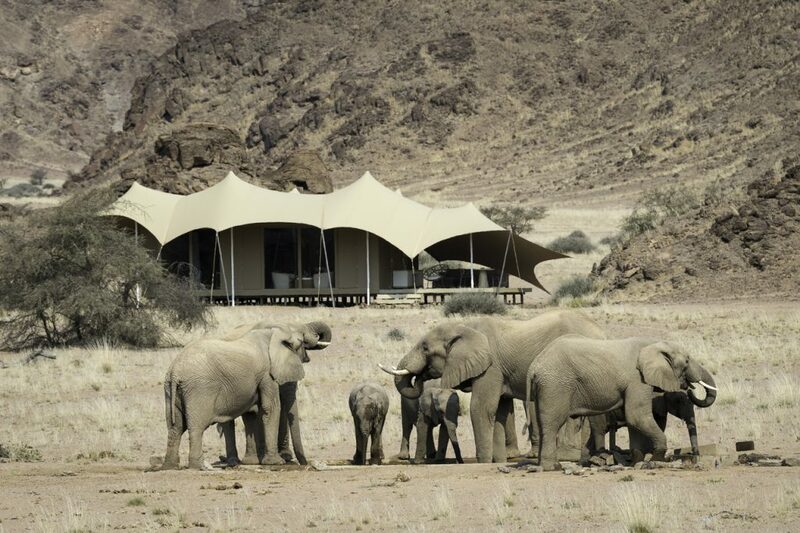 Eight stylish, well-insulated en-suite tents with shaded outdoor lounges are laid out against a rugged backdrop of hills, and overlook a broad valley at the confluence of two tributaries, providing breathtaking vistas over the highly photogenic landscape. A small plunge pool awaits you after summer activities, while a winter lounge provides a cosy respite from the icy Atlantic fog. 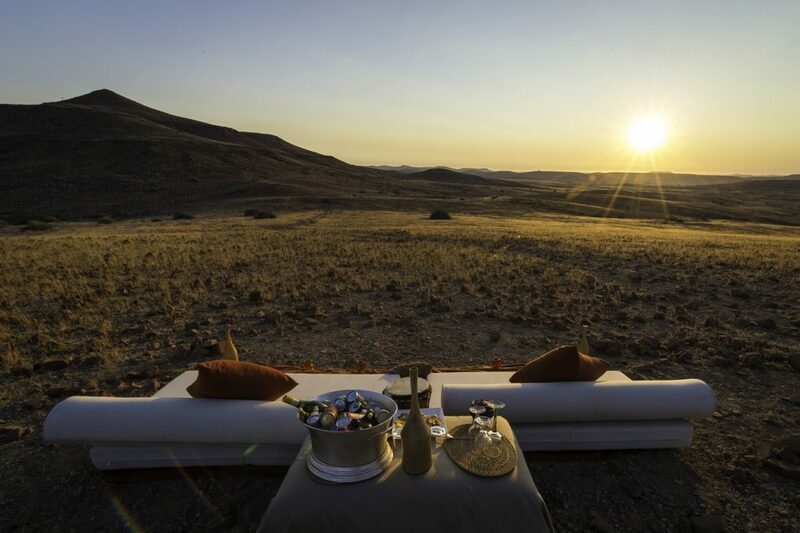 On day eight we make our way to Desert Rhino Camp, through the rugged, rocky and mountainous Palmwag Concession. 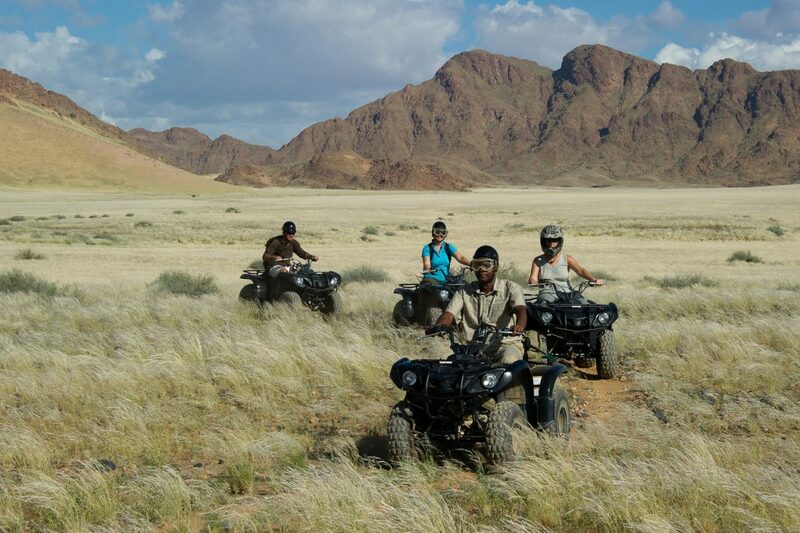 We hope to spot giraffe, oryx and springbok along the way. 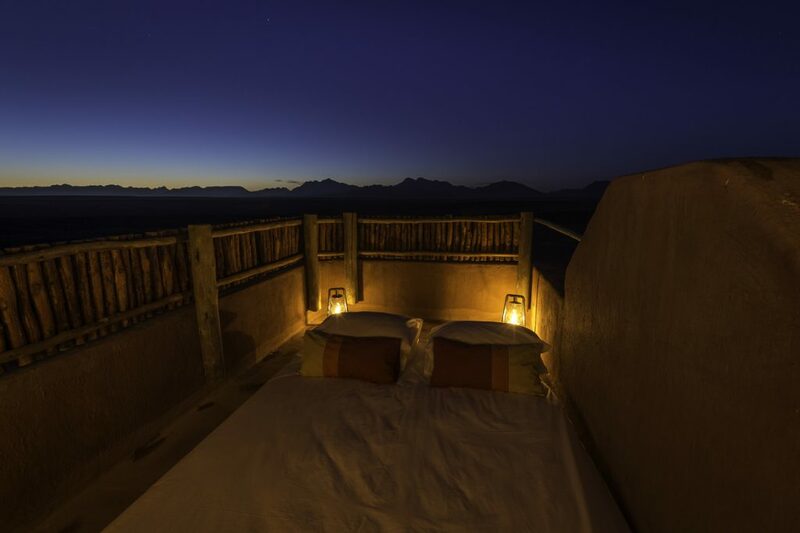 The highlight of a visit to this area is seeing its stable population of the endangered desert-adapted black rhino (the largest concentration in the world outside a national park), which are monitored and protected by the Save the Rhino Trust. 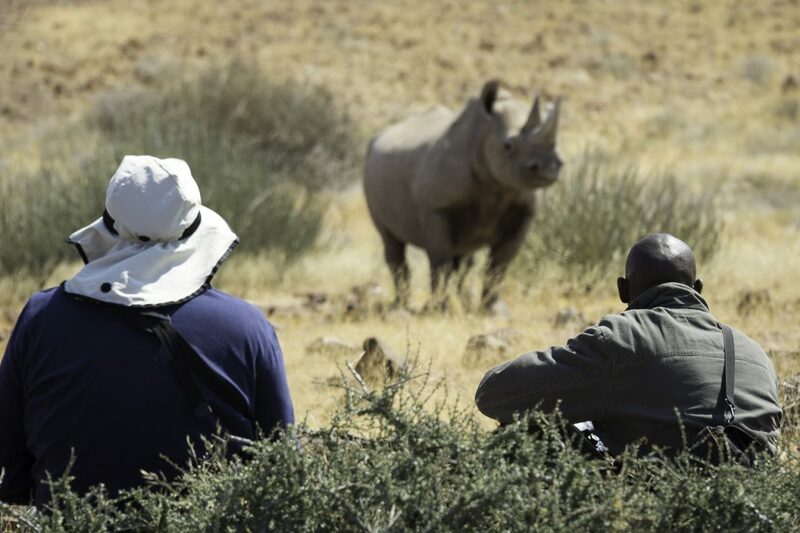 It is here that you will have the chance to track black rhino, a thrilling and unforgettable experience. 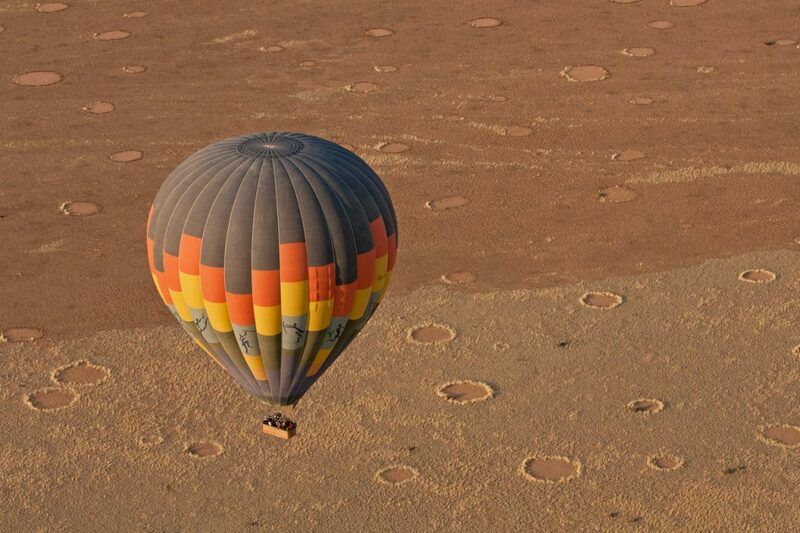 We bid farewell and transfer to the Doro Nawas Airstrip for a return flight to Windhoek.